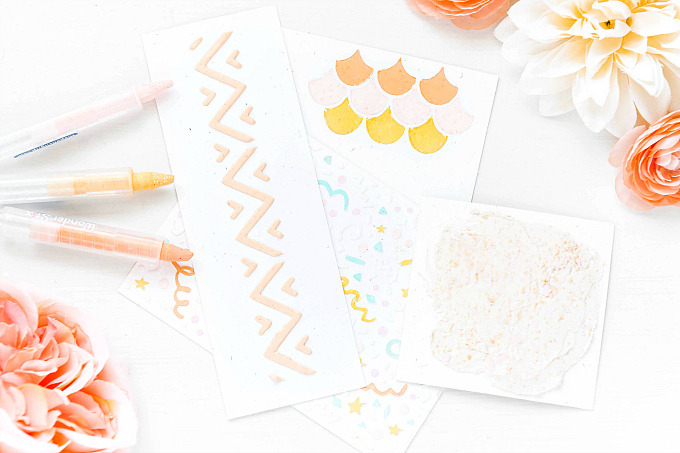 It's been a while since I've sent out a handmade thank you, so I've whipped up a batch of these to keep in my stash (you know, just in case I decide to go on another two year crafting hiatus :). In all seriousness, it's super handy to have cards like these pre-made to send out in a pinch. I'll be making some to stock up my shoppe soon, so you can have them at your disposal too! For this card, I used a v pretty pattern paper. I just love the delicate design - reminds me of embroidery, which I'm sooo into these days. I'm thinking of doing something similar to this on a white linen pillow case, and I must try this combination of colors! 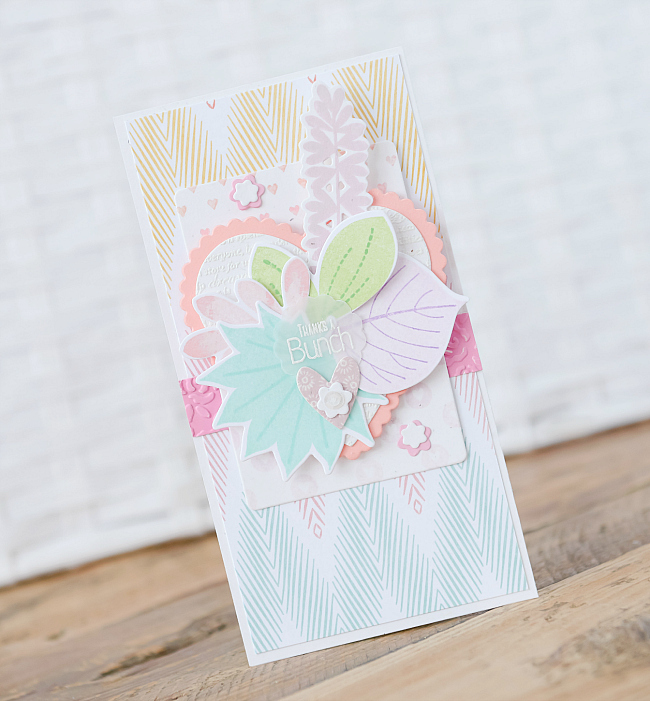 For the layering, I stamped a plain white cardstock piece with a heart background using PTI's Background Basics: Hearts with Melon Berry ink on top and Sweet Blush ink on bottom. I used the Limitless Layers: Hearts dies to cut the two hearts. It looked a tad plain, so I added a bit of heat embossed text using a stamp from Papertrey Ink, Background Basics: Hearts. 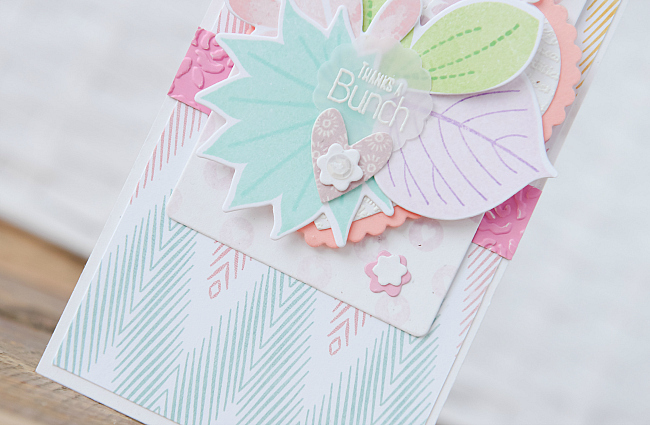 Layered on top is a collection of leaves from the Leave it Be stamp + die set. 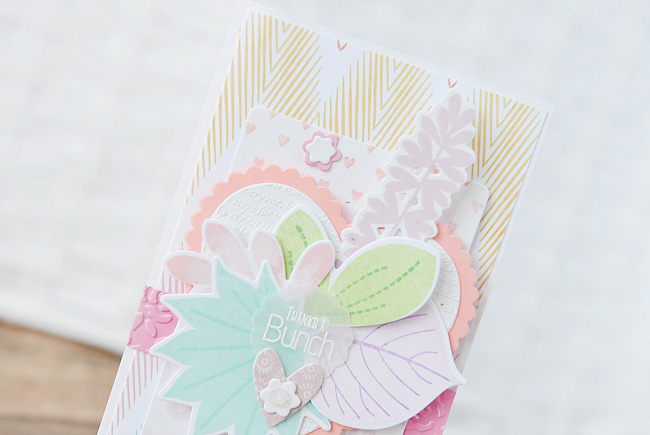 I used Lilac Grace, Amethyst Allure, Lavender Moon, Green Parakeet, New Leaf, Aqua Mist, Hawaiian Shores, Sweet Blush and Pink Peony inks from Papertrey Ink. 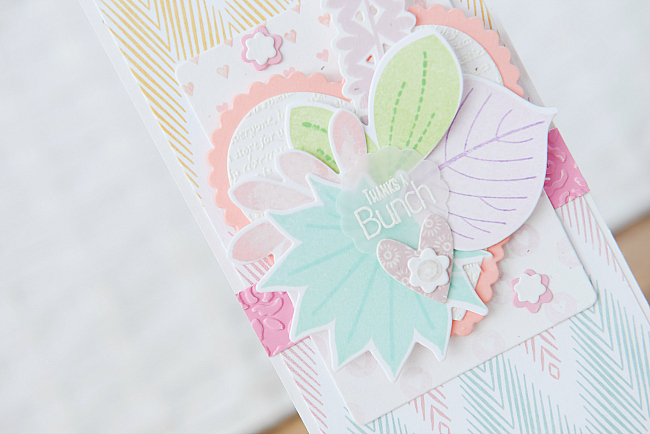 To finish off, a few tiny flowers from the Polka Dot Parade die, a tad of dry embossed hot pink paper (using Kaisercraft's Tiny Roses embossing folder), a heat embossed sentiment on vellum, and this card is all set to sail. Enjoy the rest of your day friends! Sucha a sweetheart Ivana! Like a spring breeze and meadow my friend!